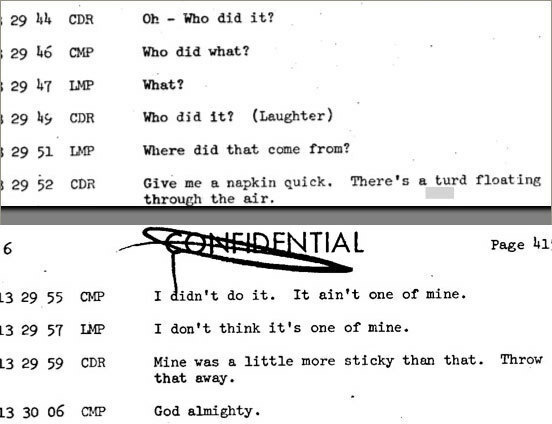 During day 6 of NASA’s Apollo 10 moon mission in 1969, the three-man crew had a couple of close encounters with “turds,” which thanks to NASA’s mission transcript, have been recorded for posterity. You can find the exchanges on pages 414-415 and 419-420 (those are transcript page numbers, not PDF page numbers). Apollo 10 was the final practice mission before the Apollo 11 moon landing.